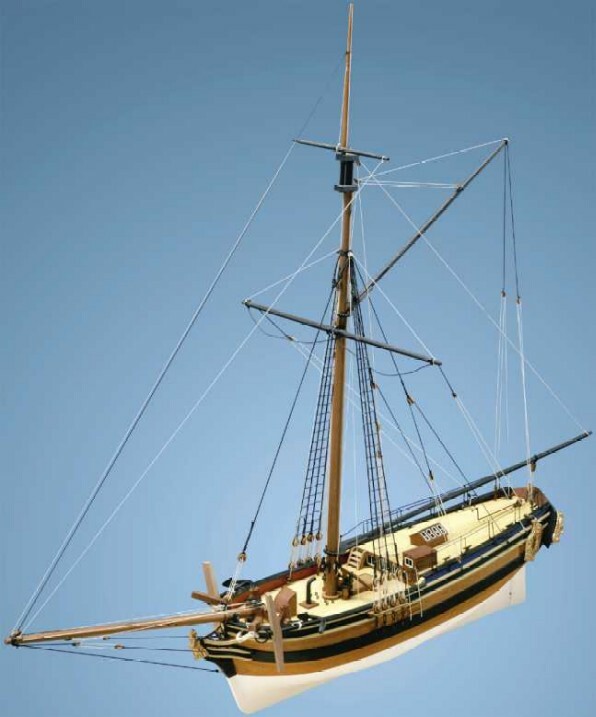 Jotika 9011 Nelson’s Navy HM Yacht Chatham 1:64 scale wood ship kit! Full size plans and comprehensive building instructions aid to make a highly attractive model which would look great in anyone’s home. Yachts were of Dutch origin and came to Denmark and Sweden as pleasure craft. They were introduced in Britain in 1660 when Charles II, on his return to England was presented the Yacht Mary. In the early days, the yacht was thought of as a pleasure and transport craft only. However, these vessels found their way back into the merchant service as well as serving very successfully as fleet reconnaissance vessels. Also, as these vessels were very fast sailors, yachts were commissioned as dispatch vessels or packet yachts.